You are only allowed in the Ostrich Area accompanied by a Safari Ostrich Farm guide. This is for your own safety. You are not allowed to pick up any feathers that you may see during the course of the guided tour since they are untreated. No unaccompanied children are allowed on the guided tours. Please switch your phones to silent or vibrate only whilst on tour for the sake of your fellow visitors. Safari Ostrich Farm wants everybody visiting us to have a fun and great experience. 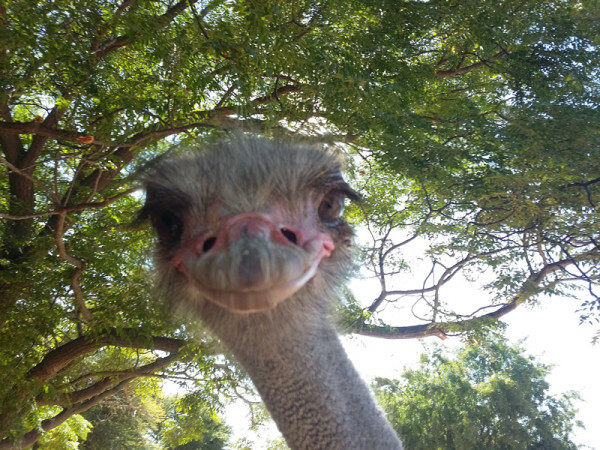 We, at Safari Ostrich Farm, have become known world-wide for our Animal Friendly farming methods – We want to enlighten our visitors about these incredible and unique birds be means of our professionally guided tours and hence give everybody visiting us a newfound appreciation for Ostriches. Visit our tours page.